Model T Ford Forum: Should I REALLY Add This To The Mixture?? Should I REALLY Add This To The Mixture?? Model T Ford Forum: Forum 2018: Should I REALLY Add This To The Mixture?? I watched several YouTube videos about the mixing of Acetone and ATF. Harold Schwenderman's warning about the two ingredients separating was covered, and in one interesting video, the presenter was "certain" that a few drops of this Balvenie 14 year old Scotch Whisky into a spray bottle of Acetone and ATF would greatly slow down the separation of the two primary ingredients. His demo seemed to bear this out. Does anyone have any hands-on experience to support this, or did I just throw away $80.00? I think thats alcohol abuse.If it doesnt work you are only out a few cents. You can drink the rest. 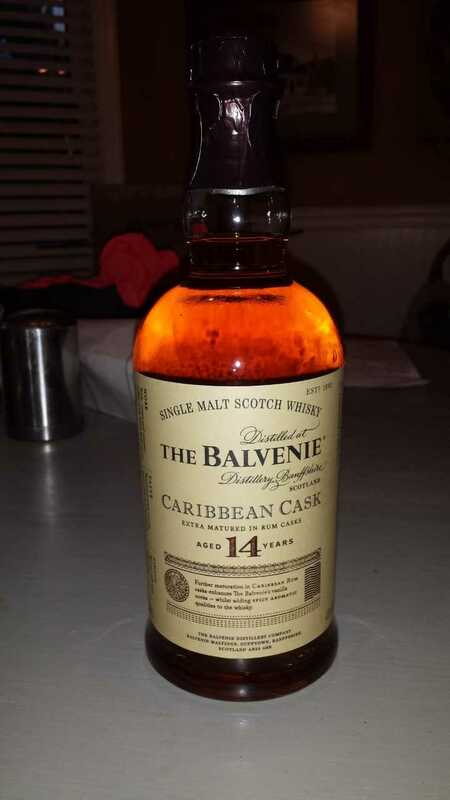 You will have only thrown away $80 if you add this beautiful single malt to acetone or ATF. This place sure does get strange at times. Bill, if you feel that you've already blown the $80, I'll send you the postage and you can send me the Scotch! Drink it....you won't CARE if the mixture seperates! Bill, In the video that included scotch whiskey, they guy said "the whiskey was an offering to car repair gods to allow all stuck bolts and other things to come loose". So, not really a part of the recipe. I'd add the Single Malt to myself. The hell with the stuck bolts. Since I hadn't opened the bottle, the liquor store was kind enough to take it back without a re-stocking charge.